Looking for one-of-a-kind pieces for your wardrobe or home? Head to Haji Lane. Wedged between the old and the new of Singapore, this narrow lane is dotted with colorful shophouses, middle-eastern eateries, trendy bars and chic fashion boutiques attracting both tourists as well as local fashionistas. There are dozens of shops to be discovered along the way, but here are some not to be missed. Start your shopping adventure from the famous Mexican bar Piedra Negra and the beautiful Saladshop. Fashionistas will be delighted to find not-so-average-labels such Aijek, hansel, Irregular Choice, Stolen, Indika, and Mischa at Soon Lee. 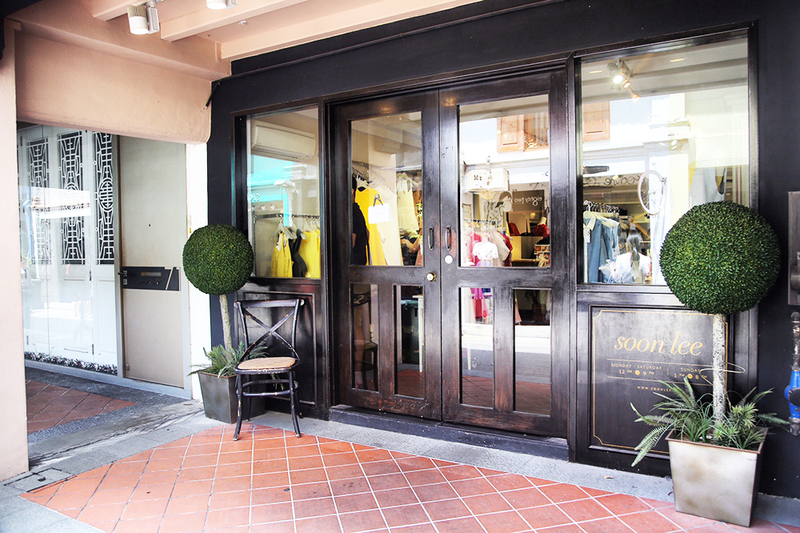 This glamorous shop spans across three storeys and features a chic selection of womenswear, accessories, shoes, books and magazines. The co-owner, Sharon, reveals that Soon Lee means “plain sailing” and this is exactly how you will feel in the store. 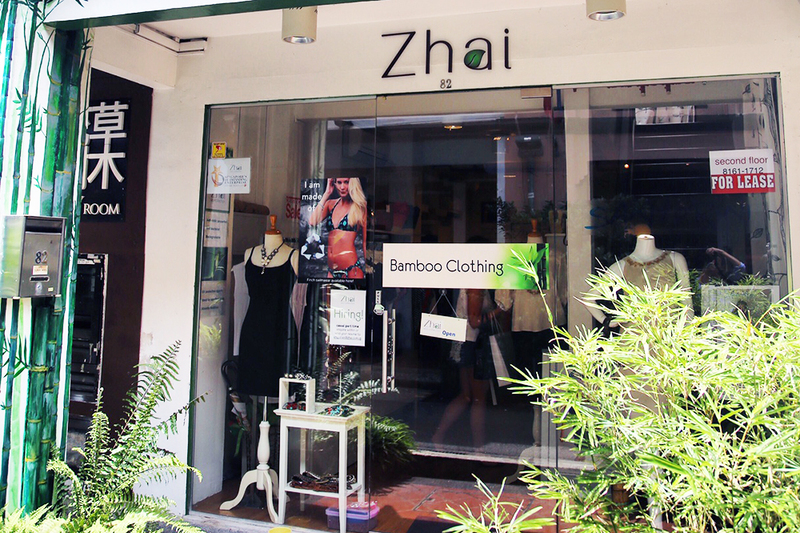 Owner and creative director Danielle Champagne opened Zhai back in 2009. 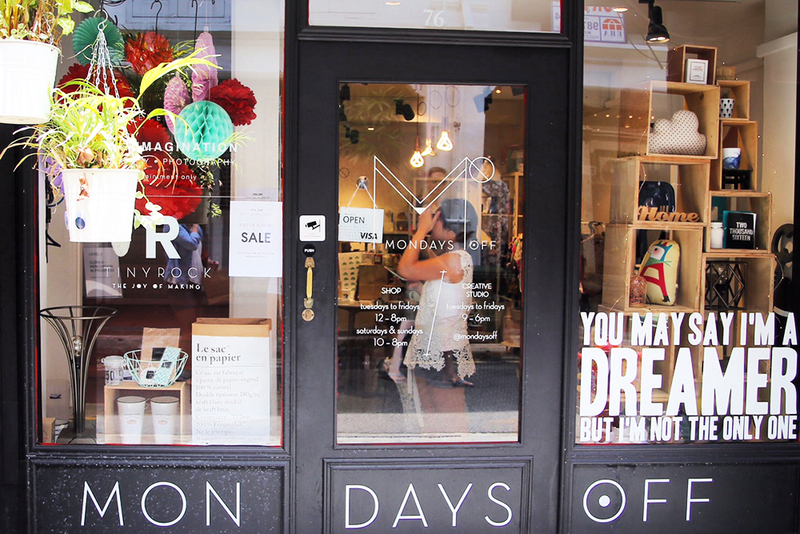 The store sells fashion with a conscience. Not only do they use natural bamboo fibres for the apparel but also for all their accessories. They are a vegan business that does not use any synthetics, supports local and overseas NGOs and associates with fair trade partners wherever possible. Grab one of their bestselling cardigans – comfortable, warm, handy, durable, stylish and supporting a good cause! Lovie Wong, the owner of Dulcetfig (dulcet for sweet; fig for the fruit), curates her very own vintage meets modern girl collection. She personally handpicks all the vintage gems found in the shop as well as sources one-of-a-kind pieces from the independent local and overseas artists. Here you can find vintage apparel, brooches, necklaces and earrings. The highlight is a lovely, hand-picked collection of vintage handbags, from 1920s Whiting and Davis mesh handbags, 1960s Glomesh and Oroton, Etienne Aigner, Enid Collins and Garay Kelly handbags to 1970s Naturalized handbags. This colorful, anti-label shop hails all the way from South America. Kolombiana’s owner Karen partners with unconventional and undiscovered artists and craftspeople in South America to build the unique and exclusive collection featured in the shop. Each product sold here is the result of great care and love. Check out their Mochilas (backpacks). Hand woven from cotton by women from the Wayuu Tribe, each takes three weeks to finish and comes in a unique design that holds a meaning to the weaver. We’ve got unique designs for viewing and purchase right at home, at the Peranakan Museum! This charming two-storey establishment is a true wonderland. Grab a popcorn matcha latte or a strawberry mint cooler at their Pantry on the ground floor before heading upstairs to explore the artfully curated collection of home accessories. Here you can find beautiful tableware, cushion covers, fragrant candles and pom poms. Shop Wonderland also organizes a bunch of creative workshops from calligraphy to flower arrangements and many more. Talking about flowers, surprise a loved one with one of their beautiful bouquets. Now that you’re half way through the lane, stop at Bar Stories for a refreshing cocktail or two. This speakeasy is well hidden above A Thousand Tales shop, which sells Scandinavian-sourced furniture. Here, you will not find a menu. Each drink is specially made to match your taste palate using only fresh ingredients and no artificial flavours. Trust the knowledgeable mixologists to take you on a true cocktail adventure. A huge selection of dresses and little knickknacks. From earrings for the ladies to ties and bracelets for the gents and fancy tea pot sets, tea towels and cushion covers for mum. Eileen, the owner, decided to introduce a variety of carefully handpicked and exclusive products for customers to mix-match, just like the ingredients of a salad. Don’t leave without purchasing one of their signature organic body balms coming in four fragrances. 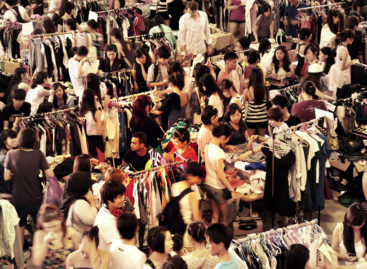 Look for more treasures at unbeatable prices at our favourite flea markets! 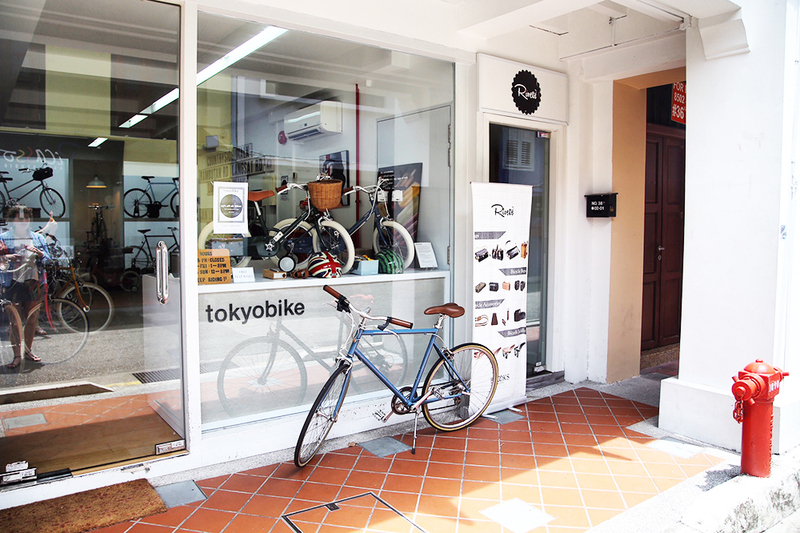 Haji Lane is a proud host to world famous Tokyobike. Here you can get your hands on the brand’s signature minimalist bikes invented back in 2002 in the old Tokyo suburb of Yanaka. Tokyobike was designed for navigating around Tokyo and has since expanded to Singapore, Sydney, London, Berlin and Melbourne. Tokyobike envisions its riders exploring their cities slowly. 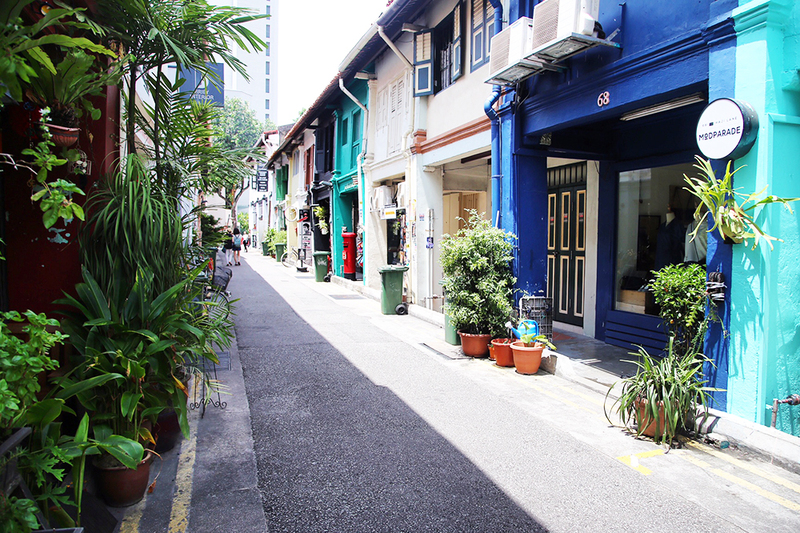 Here at Haji Lane, you can also take a test ride around the neighbourhood. “Wouldn’t it be nice to have Mondays off?”. This phrase crosses everyone’s mind every Sunday evening. Leyna, the owner of Mondays Off, absolutely dreaded Mondays when she worked in a corporate world, so she found a solution. Mondays Off is closed on Mondays. 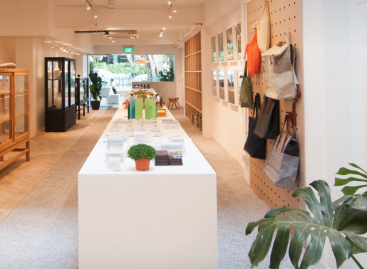 The store curates multi-labelled lifestyle products, such as skincare, jewellery, decorative posters, kitchenware, children’s clothing and pet accessories. We absolutely love their hand-made knick-knacks and their line of Singapore themed souvenirs.